The springy cushion innovation that took the sneaker world by storm in the early 2000s is returned earlier this year. Nike Shox were one of Nike’s most popular sellers for many years and as footwear innovation changed through the years, so did the Shox. Now, the ever popular runner has returned in the Nike Shox Gravity and it focuses on being a lighter-than-air feeling sneaker. 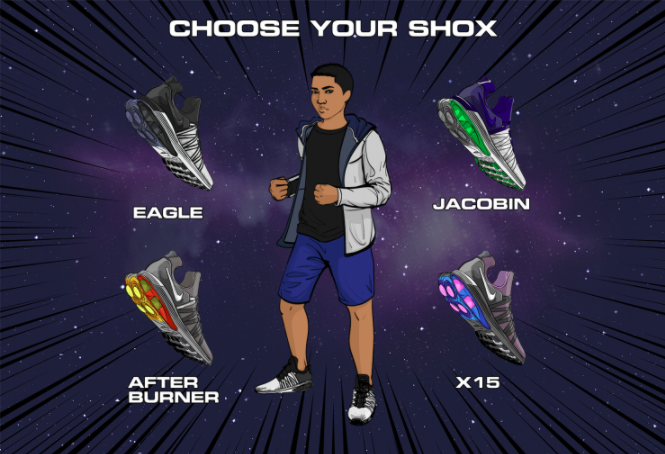 If you’re having trouble deciding which pair is for you then you need to try the Nike Shox Generator. Take the test and find out which pair is perfect for you and your style.